Climbing is not all milk and honey. In fact, it’s quite serious and challenging thing to do. Anyone telling you otherwise is simply a liar. And here at the ADV team, we are not interested in lying to you. Instead, our intention is to show you that challenge is precisely what makes climbing so much of a fullfilling, overwhelming and otherworldly experience. An active collaboration between body and mind turning danger into beauty and risk into safety, might be the simplest way to describe why do climbers really climb. Let’s try to explain why we aim to claim such an absurd thesis. First of all – climbing deals with physics. And in doing so, climbing gives it’s best to fight some of the elemental physical laws. Most notably – the gravity. Fighting gravity is a natural human tendency, common to all human beings. Why would anyone want to go up there? Are you crazy? You want to die or something? Can you fix my chimney? Well, that’s a typical adrenaline rush story, you might think, quite boring and worn out. But then again, climbing is not really an adrenaline sport. The moves are way to slow; decisions and choices are based not only on skill or reflex, but also on an intellectual search for the solution of a problem; risks are being neutralized by climber’s 100% focus on objective and subjective factors affecting the ascent, making it safe enough to climb. And we mean 100% focus! Not 99.9%! 99.99% is not enough, it’s lethal! 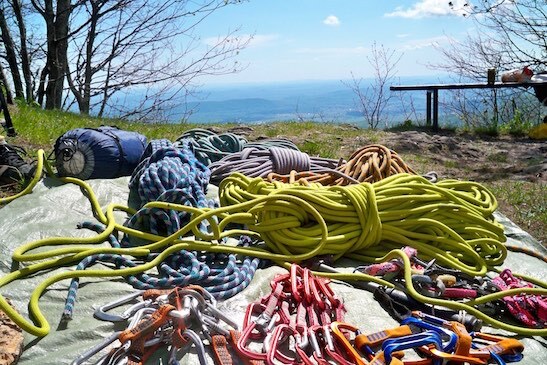 Every ascent asks full concentration full time – every move, every knot – because only then climbing is a safe sport. 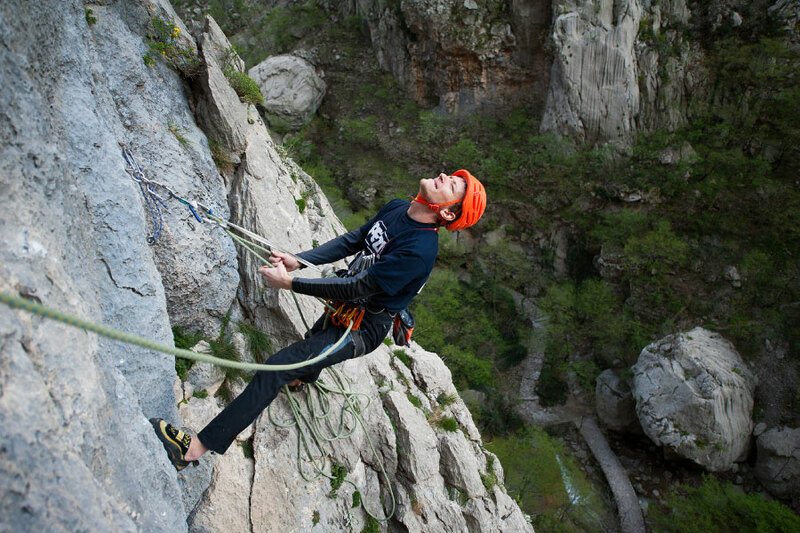 So, it comes to no surprise that climbers often underline the contemplative side of climbing. After the climb, after all the concentration eases up, the effect truly is very close to meditating. It means that climbing is an individual sport. But, although every climber deals alone with her or his own weaknesses during a climb, it must be noted that every successful ascent comes within a partnership (besides free solo climbing and bouldering as a separate climbing disciplines). Climber’s partner is literally holding a life in his hands. 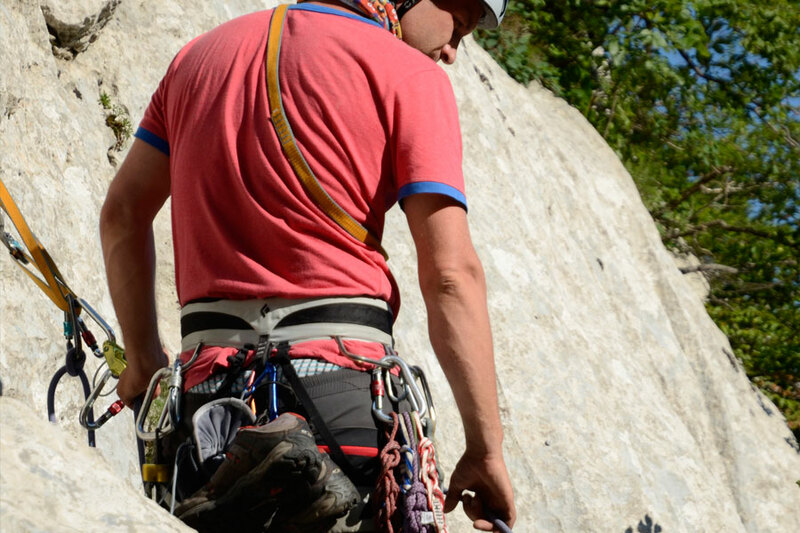 Any lack of attention coming from belayer while belaying climber’s climb will lead into death or at least a serious injuries. That’s a fact anyone interested in climbing must not ever forget, fact that differs climbing from probably any other sort of a sport activity. You can sense now that besides physics and contemplation, climbing also deals with trust and responsibility, respect and friendship, caring and loving for each others. All those wonderful things. Climbing is not generally known as a competitive sport. There are competitions, but most frequently you can hear climbers declaring that the only one they have to beat is themselves. And nature, of course which leads us to a conclusion. None of the above wouldn’t mean a thing without respecting the mother nature. Climbing deals with beautiful places, it takes you far, far away from your everyday life. Places that only the brave are destined to visit. But even the bravery of the bravest is miserable when compared to the forces of nature. Be aware of it’s greatness and bow. There is no climbing without fitting in the natural order. Or no adventures at all, to say so.